Redline HTR-850R places top 10 SEMA Mothers award! HTR-LSX454 Camaro Featured at 2010 Albany New Car Show! E-Force makes 633 RWHP! on C6!! Worlds First LSX454 Powered 2010 Camaro! Redline Motorsports in Hemmings News! Redline joins with DeNooyer Chevrolet! Redline now a dealer for Pedders suspension!!! With the new Camaro now in our hands, we have been working with Pedders on there new killer XA Street system that will be used on our performance packages. 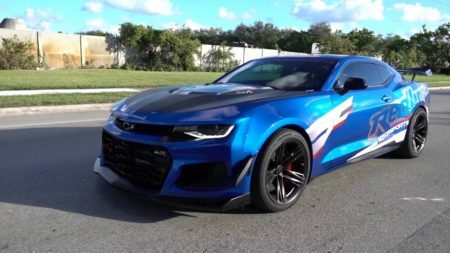 Redline Motorsports 2018 ZL1 1LE 1300 HP 5R Package!